Teaser: Before we even have the sweet release of final exams, we’re already planning what to do this summer. Less than 2 months...That’s how much time we have until this school year is over. But, unfortunately fun doesn’t come cheap. Fun comes from adventures, drinking, and friends, all mixed together, and to have this sort of fun, money needs to be dropped. Nonetheless, there are ways to keep your budget in check, like vacationing locally rather than overseas! Check out these spots around Ontario that can make for a fun summer getaway. The Badlands are located in Caledon. It is a beautiful outdoors forest area, with an area looking like you’re exploring mars. It is huge, red and hilly and a delight to see. Tobermory is located on the Bruce Peninsula. 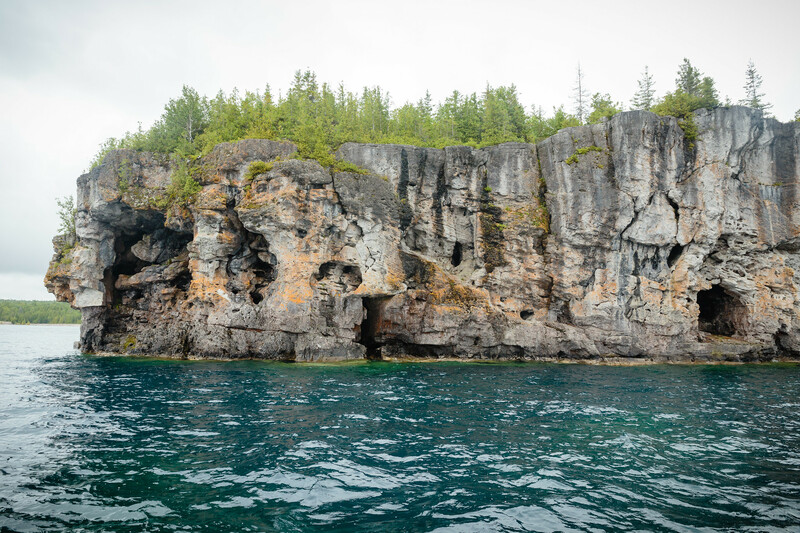 It is a harbour village and home of Bruce Peninsula National Park, running along southern Ontario. It has a cave overlooking Georgian Bay, a trail to go hiking, and a beach with sand dunes and a boardwalk. This is a perfect outdoors destination. The area has over 5000 lakes, with woodlands and small towns to explore the region. Here you can enjoy many water activities such as canoeing, kayaking and fishing, as well taking a boat out to the water. Muskoka is another beautiful place for outdoor activities. You can rent a cottage and enjoy a nice vacation with family and/or friends. There is beautiful forest areas with three large lakes. This destination is THE most basic place for a Canadian to go, but that does not stop us from going as much as possible. Niagara can get a bit pricey but it’s never a dull moment when you go. There is the falls itself, casinos, Clifton Hill and endless restaurants to go to! For something a bit more local, in downtown itself, there is a beautiful waterfront, accompanied with an art gallery called the Power Plant, an abundance of food, as well as festivals that happen throughout the year, which you can check for on their website. Albion falls is once again another forest area with a beautiful hiking path. There is a waterfall and an amazing view over a cliff, which is slightly hard to get across to, but going over and around the fence is worth the view. Unfortunately these pictures were taken in winter, but they’re nice regardless so you can only imagine it’s even more beautiful in the summer. There are eleven parks in the Scarborough district, most of which contain a lakefront as well as beaches where you can very much swim in. The parks have a view of Lake Ontario, all while having trails, beaches, gardens as well as recreational facilities. The Toronto Islands are a beautiful small set of islands in Lake Ontario. There are a few places of interest at the islands, one being Centre Island, which has Centreville Theme Park. All of these destinations are fairly cheap when split among others and when your day is planned out. Although Ontario unfortunately doesn’t have the island vibes, we do have islands nonetheless, accompanied by forest areas, and cottages to rent, as well as different foods to try from.